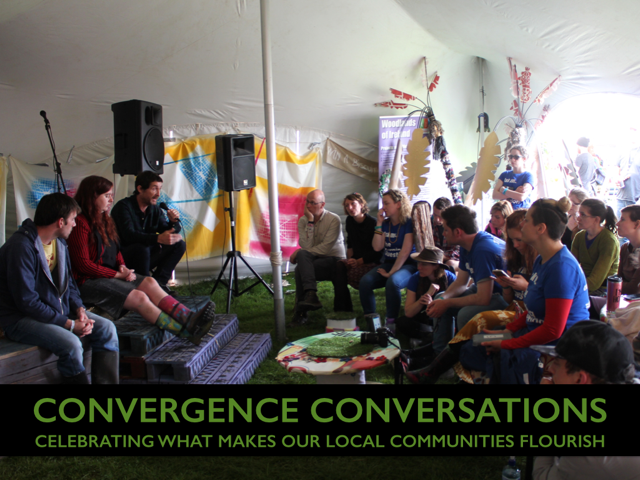 Since the year 2000 Cultivate have held Convergence, Ireland’s longest running sustainable living festival. This regular series of events have explored issues around community resilience, sustainability and how we transition to a society that works for all. On the evening of the summer solstice, Colm Byrne, Glas Learning will host an evening exploring the potential of solar thermal and photovoltaic technologies for reducing our dependency on fossil fuel in Ireland. Presented by Green Works Hub Kilkenny in association with Future Proof Kilkenny. A networking event with films and discussions on greening Limerick, building a resilient community and making sustainability relevant. Join us on this (return) bus trip from the Sligo Green Works Hub to Cloughjordan Ecovillage and the Totally Tipperary festival. We are experiencing economic, social, and environmental turbulence throughout the world. How do we cultivate hope in the face of these events? Members of all faith communities are welcome to bring their ideas of hope and resilience to this open forum hosted by Professor Peadar Kirby (University of Limerick). TV Presenter Duncan Stewart will kick start a morning of talks and ‘life stories’ on how the green economy can create more jobs and help North West communities becoming more self-reliant. The event will talk to those who have made, or are in the process of making, new careers and businesses within the green economy. John Perry TD, Minister for Small Businesses, will deliver the end note address after the morning of talks and presentations on sustainable communities. Free Advice Sessions in the afternoon are an opportunity to gain personal business advice from those working within the green economy in the North West. Stalls offer advice from insulation, renewable energy and green building to sustainable fashion and gardening. Also enjoy 15 minute slots, pre-bookable, offering mentoring to further discuss your business ideas. Food Tourism is an important element in the total tourism mix. Sustainable tourism is about making sure that tourists chose local food for boosting local economies and strengthening local communities. Establishing more local food enterprises as part of the tourism mix, while exploiting the country’s ‘green and hospitable’ image, are key to Ireland's success as a “Food Island”. Afternoon programme starting at 2pm: Businesses and international tourism experts discuss the benefits of local food as part of the tourism mix. Evening programme starting at 6 pm: Film screening of foodie-film and a “99-Kms” (locally sourced) community 'potluck' style meal (where everyone is invited to bring a dish to share). Since the theme of the event is local food, everyone should try to bring a dish with all ingredients sourced from 99 km away or less. Be creative! Cultivate Living and Learning welcomes you to a series of conversations between people involved in FEASTA and Transition Ireland and Northern Ireland. These conversations will involve the sharing of ideas and will explore how best to pool resources and work collaboratively in order to maintain and develop strong, flexible communities that can withstand environmental and economic change. Argentinian-style BBQ brought to you with 100% Irish and 100% Tipperary produce. Music and Entertainment will be brought to you on the evening by The Boudoir Sessions (Electric Picnic, Body and Soul Festival) who will swing and sway, charm and disarm the crowd with sounds from the 1920s, 30s, 40s and 50s - boogie woogie, swing, calypso, mento, rockabilly and bluegrass. They will be accompanied for the evening time soirée by Kaledescape, an arts co-operative that will provide a full sensory and interactive experience including Europe's largest Kaleidoscopes, a giant flower garden and The Invisible Band. Two landmark conferences took place in 2015, setting a global agenda to achieve the Sustainable Development Goals (SDGs) and greenhouse gas emission targets. Localising this transformative agenda and empowering citizens and communities to work together towards a more sustainable future will be critical in achieving these goals. Convergence 18 focuses on how community-led approaches might help to meet our climate targets and implement the SDGs. 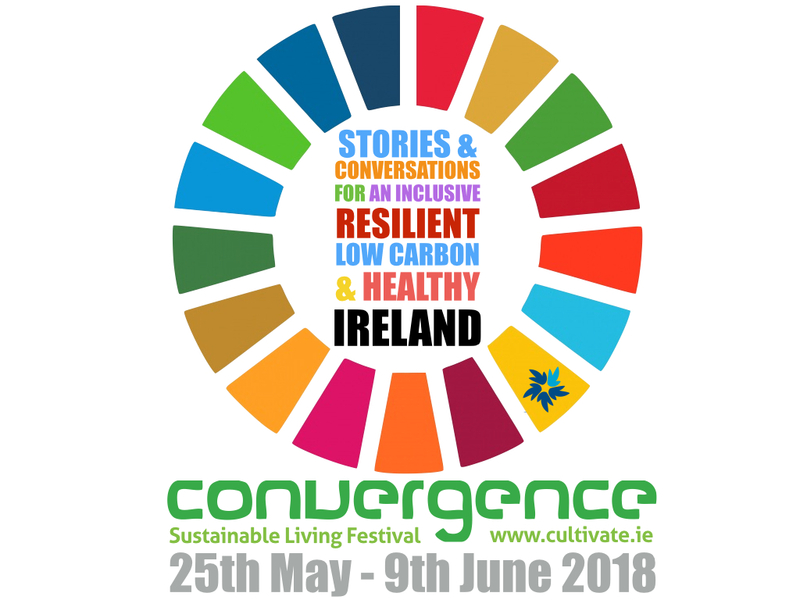 Since its beginning in 2000 the Convergence Festival has brought people and ideas together and featured some of the most inspiring sustainability thinkers and doers both from Ireland and abroad. This series of events raises public awareness, facilitates dialogue and engages citizens in a just transition to a resilient, low carbon and healthy society. Don't miss this great opportunity to visit the Ecovillage and celebrate! A celebration of local food and culture being held within the historic grounds of Cloughjordan House. This innovative and exciting food event is open to everyone. Food producers, food writers, food bloggers and food lovers will be converging to taste the best of what Tipperary has to offer. RTE’s Ella McSweeney (Ear to the Ground; Homegrown) and Bobby Kerr (Dragon's Den) will be on hand to facilitate debate and discussions, while the Seomra Bia Blog will feature cookery demonstrations from both worldwide food bloggers and chefs (including 10 French Michellin-star chefs) as they engage the visitor on how to use the best of local, seasonal, sustainable and fresh foods. New Money for Old - How will we trade with each other in the future? Green Works Hub Cork, Cork Community Forum, FEASTA the Foundation For The Economics of Sustainability, and Future Orchards a Cork community supported agriculture project come together to explore the potential for community currencies to strengthen the local economy and the resilience of our communities. Registration and welcome from 9:30. A Liquidity Network game will run during the morning and over lunch. Come early to get the opportunity to earn more money! Local Energy, Well being, Resilience, Community Food, Co-Housing, Sustainable Livelihoods, Local Beer and a lot more. Conversations and inspiring stories from some of Ireland’s leading community change makers that are increasing the wellbeing and resilience of our local areas. Using an innovative format this event will be conversational, convivial and collaborative, as well as being a wonderful networking opportunity. Hosted by Davie Philip (Cultivate) and Chris Chapman (Change Exploratory) this event will weave together inspiration, entertainment and connection. Cultivate’s Ben Whelan and international open hardware advocate, Vinay Gupta, introduce the idea of open-source, appropriate technology tools that can be integrated into the village economy. This presentation will include a visit to the site for a new enterprise centre in the ecovillage that will house a collaborative workspace and an open hardware digital fabrication lab. For the first time Convergence comes to Cork with a showcase of events by Green Works in Farranferris College. The theme of this year’s festival is Green Jobs and Resilient Communities, key areas in which Green Works has been training students since last year. Events on the day include workshops, discussions, case studies and a fashion show, while highlights of this year’s Green Works programme are showcased by students, facilitators and staff.